1. Commit to never missing Mass. Say it out loud to God and to your family. "As for me and my household, we will serve the LORD" (Joshua 24:15). Make Mass the first thing on your schedule by having a plan before the weekend starts. If you will be out of town, look up the closest Catholic Churchmake the plan or don't leave. Read the Scripture readings ahead of time. There are many apps and daily devotionals you could use. Getting familiar with and studying the Scriptures ahead of time prepares our hearts to be rich soil for the Word to grow in us. 3. Plan on arriving 5 to 10 minutes early. Something always comes up that can set you back a few minutes. Plan on being in the pew to slow down, settle, and open your heart to the work Jesus wants to do in you within that Mass. When you choose to arrive late or leave early, you are saying something else is more important. 4. Put on your Sunday best. We dress up for things that are important to us. This little act of preparation is a witness to others that I'm preparing for something that matters to me. Once one of my nieces looked up at her dad and said "Church." His shirt had a collar on it and she knew he mustbe going to Mass. Enter fully into the celebration. You can respond confidently, sing boldly, listen attentively, return from distractions gently and immediately, remain until the final song is over, lead by example for your family and your parish. 6. Don't be in a hurry to leave. 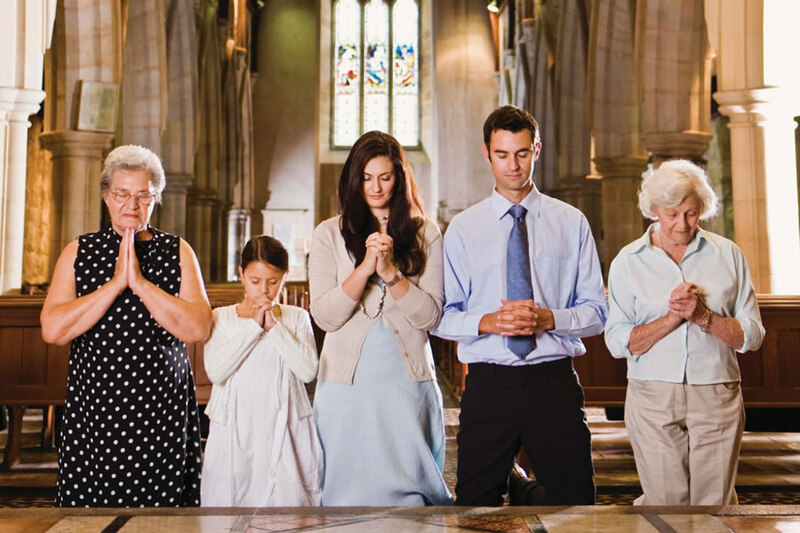 Take time after Mass to offer a prayer of thanksgiving. Make an effort to meet people on the way out. Many life long friendship beganby saying hello in Church. 7. Go forth with purpose. Look around the world. There is racism, hatred, violence. People seem to be moving farther apart from one another and digging in their heels. We need Jesus. We need the Mass. We need to come together as one body in Christ.